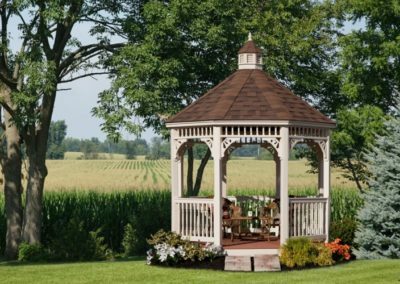 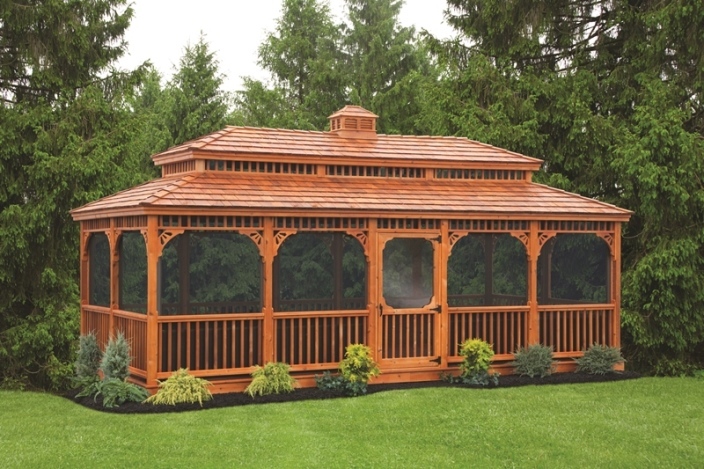 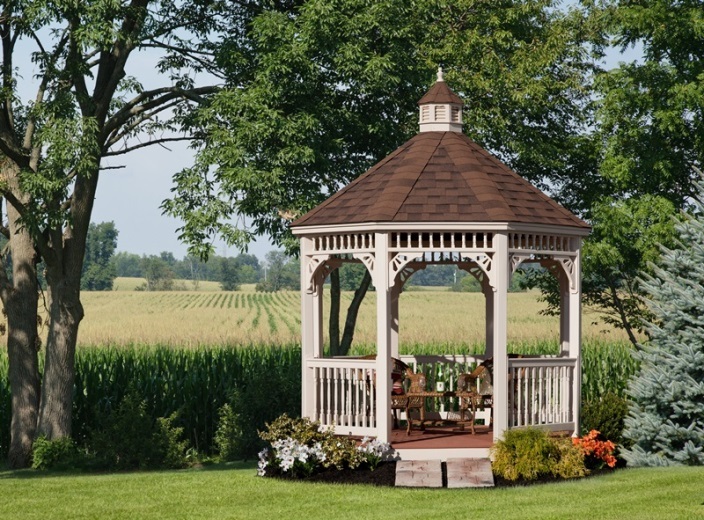 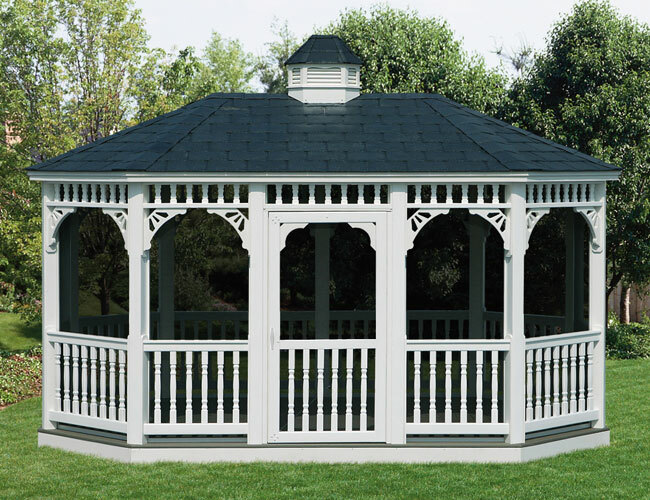 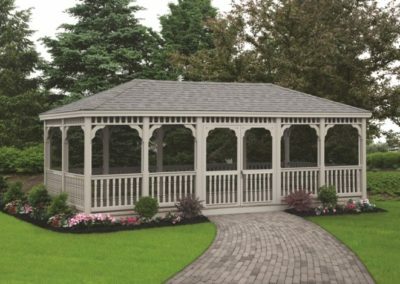 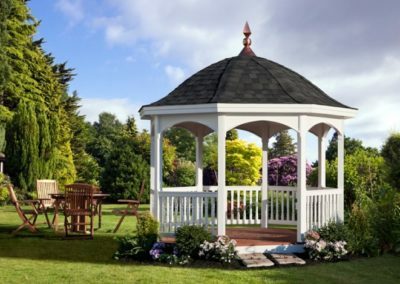 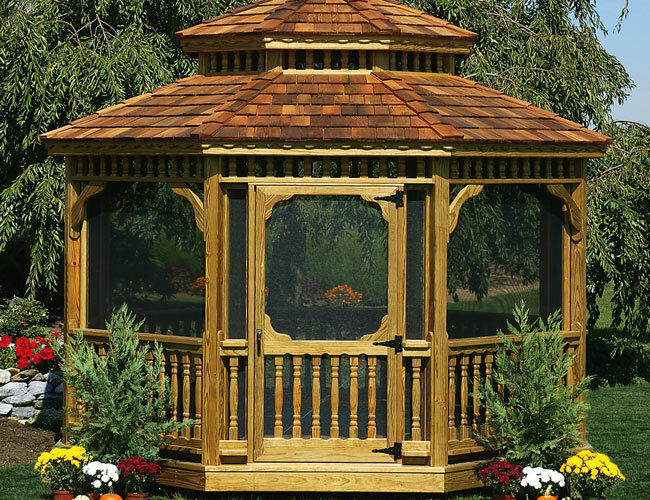 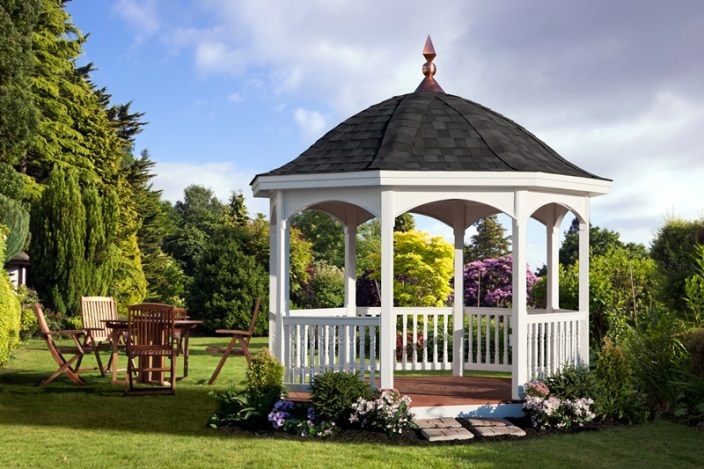 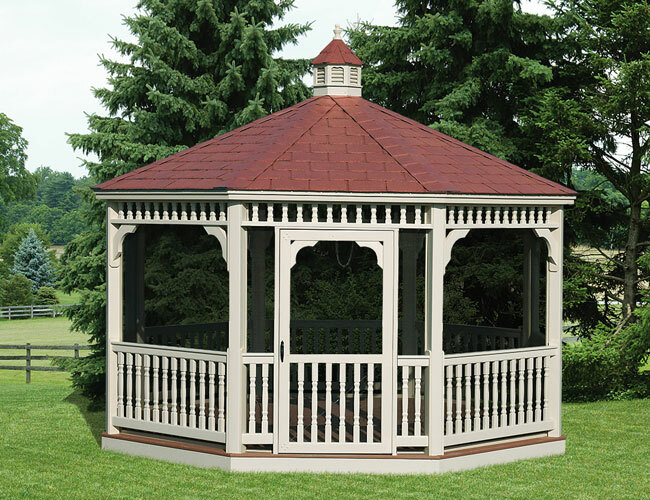 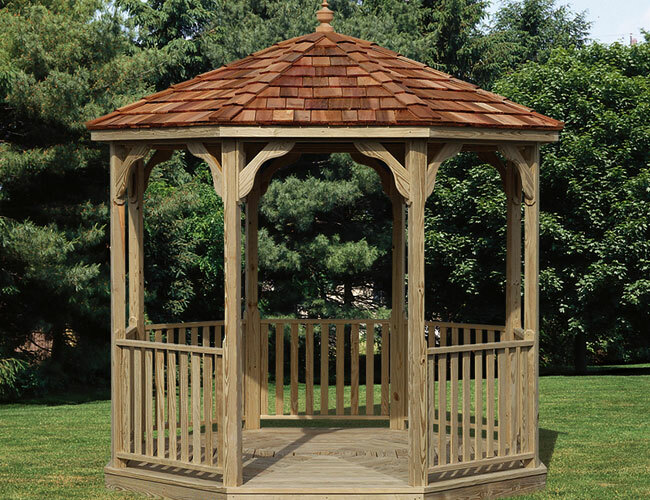 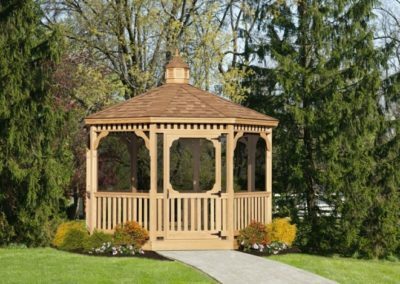 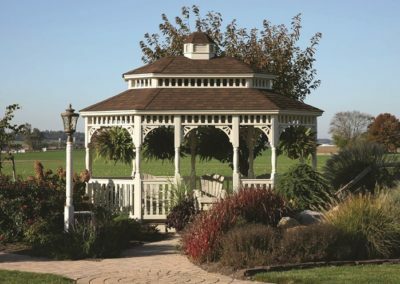 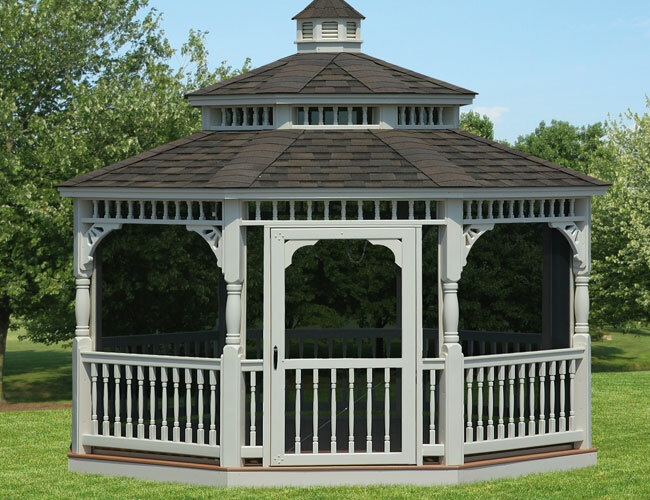 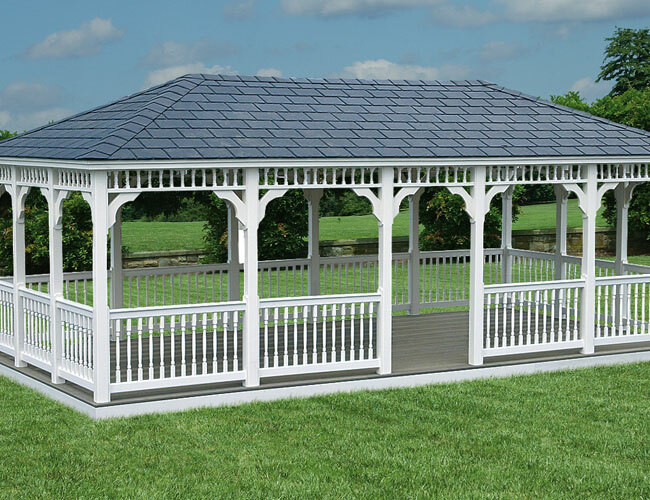 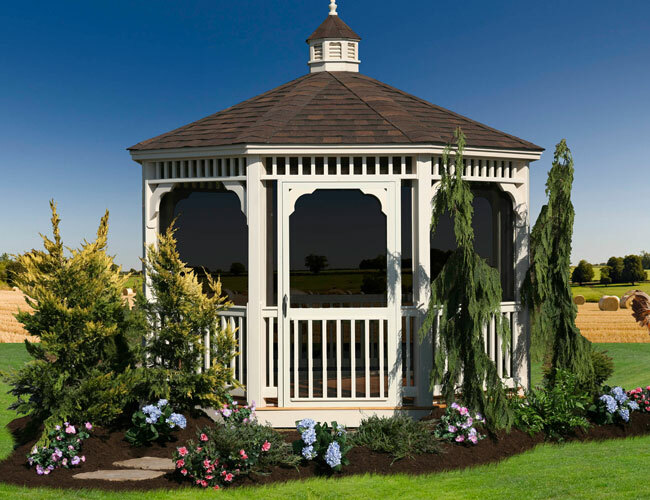 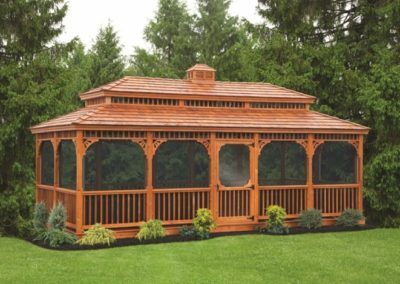 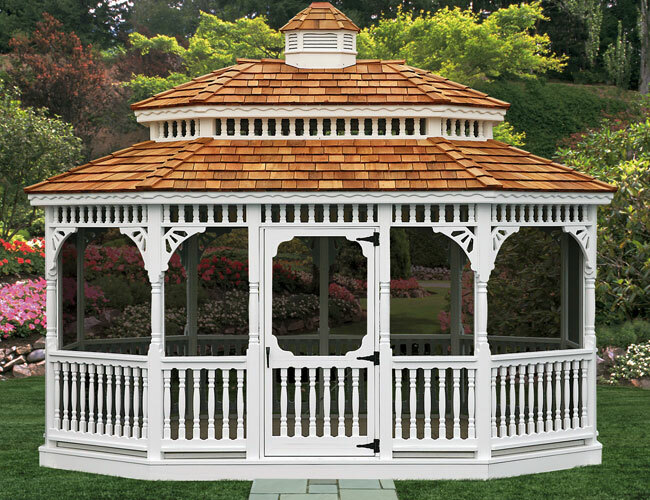 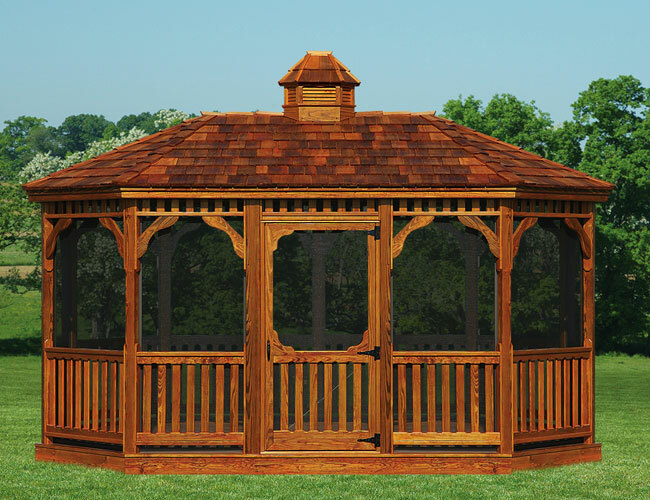 Our handcrafted quality gazebos are an ideal way to enhance your backyard by adding a decorative space to relax and enjoy the summer weather. 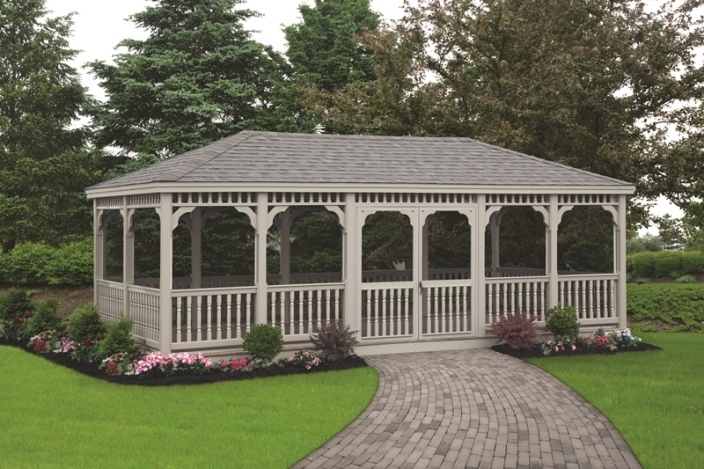 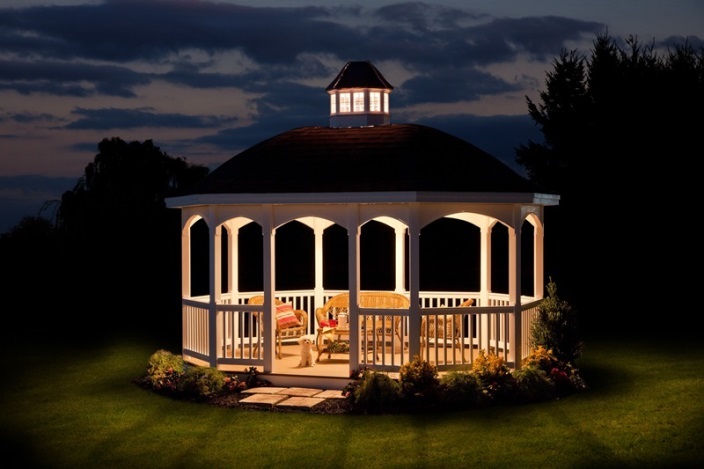 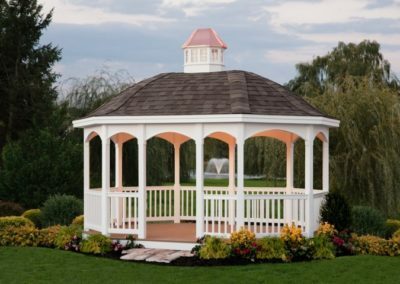 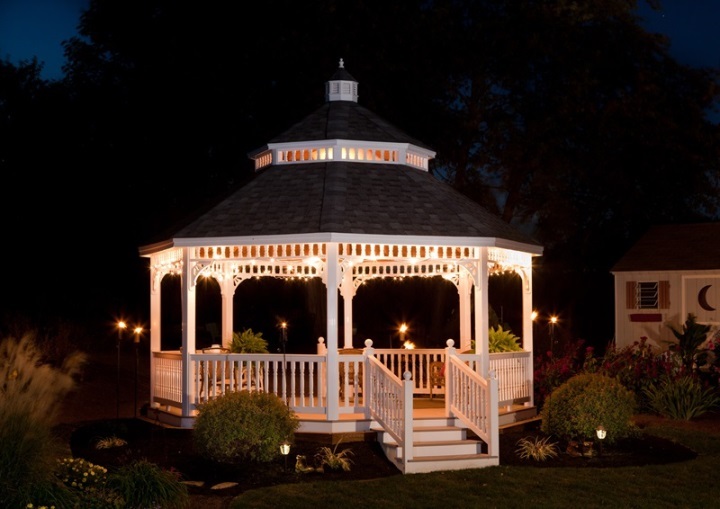 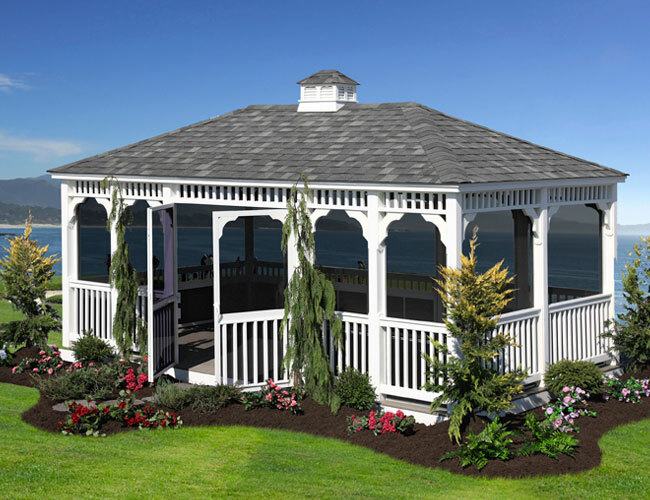 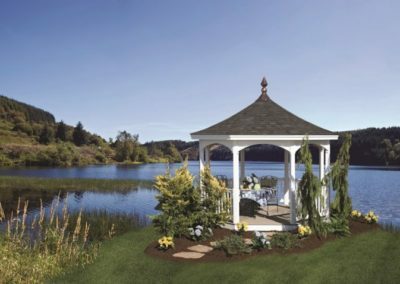 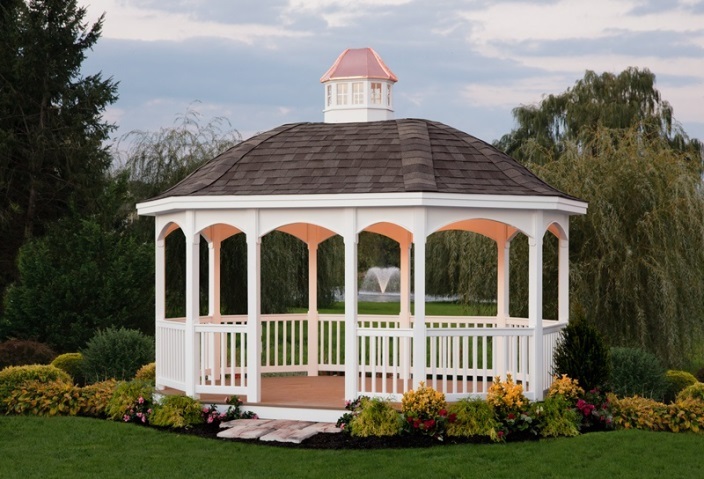 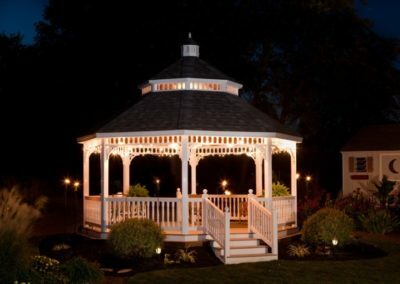 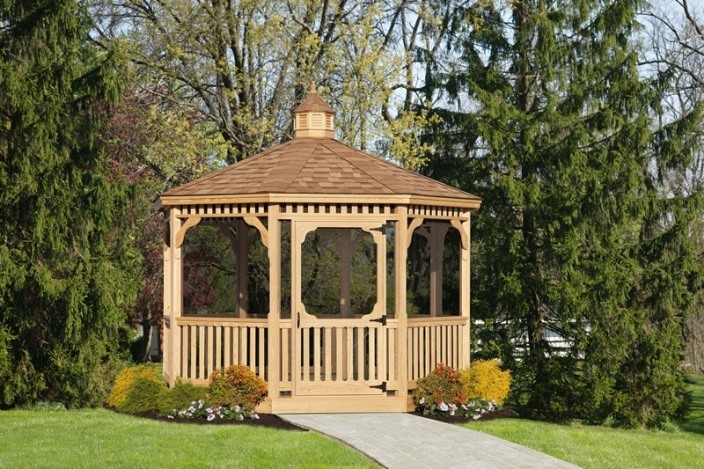 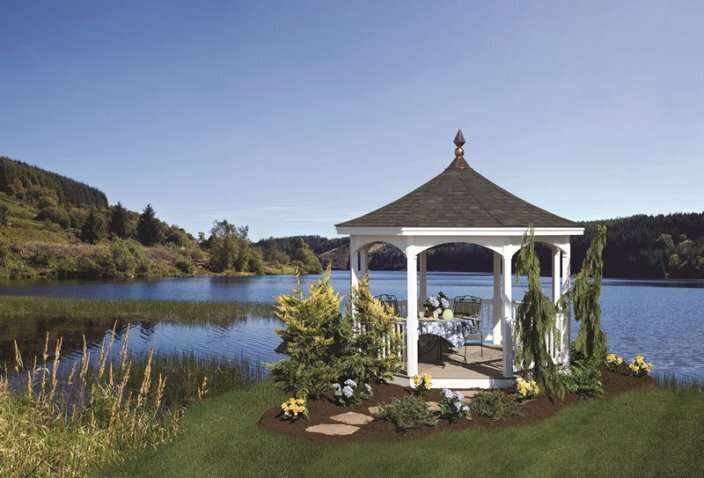 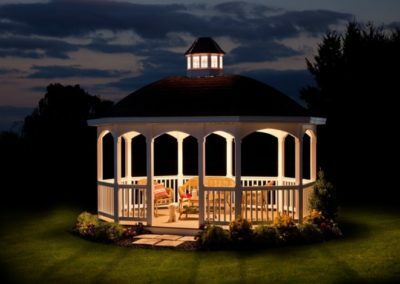 With our many optional features you can customize your gazebo to meet your specific needs with ease! 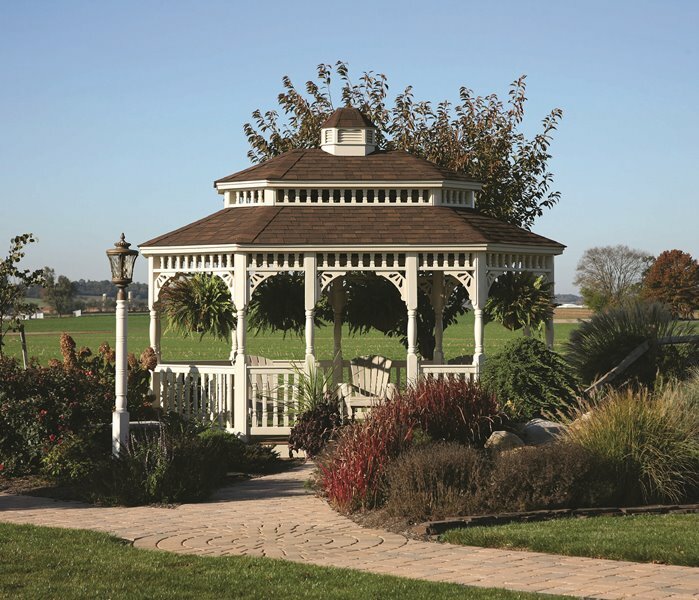 Designed to accentuate your lawn and garden. 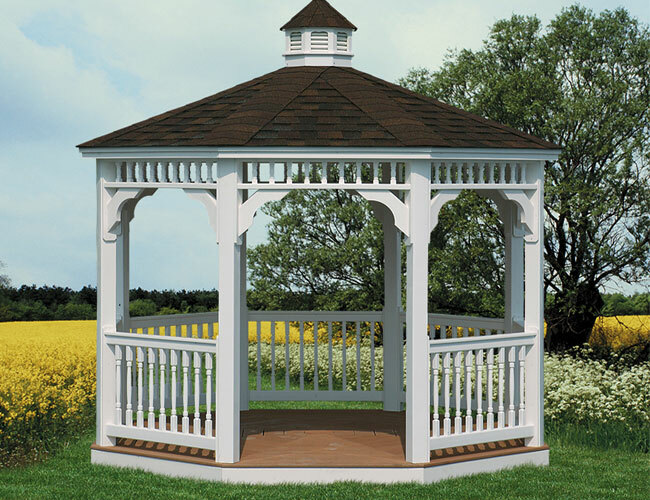 All styles can be customized by size, finishes and options. 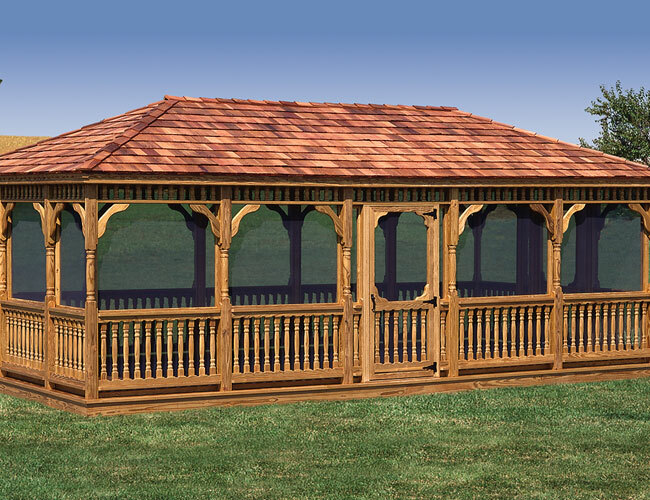 We also do offer screen packages and electrical packages for the gazebos.